The Department of Homeland Security (DHS) is investing in wearable technology for thousands of dogs that work for the agency to ensure they remain in good health. The tech-powered gear would send data to support medical staff in real-time while flagging any health irregularities. DHS’ Science and Technology (S&T) Directorate announced on Tuesday that HaloLights will fetch a $200,000 contract to provide sensor-equipped harness prototypes that can monitor a dog’s heart rate and body temperature, as well as track GPS location. The harness also will be able to monitor environmental factors like temperature and humidity. Under the contract, HaloLights would work with U.S. Border Patrol agents to beta-test the prototypes and refine the platform used for collected data. 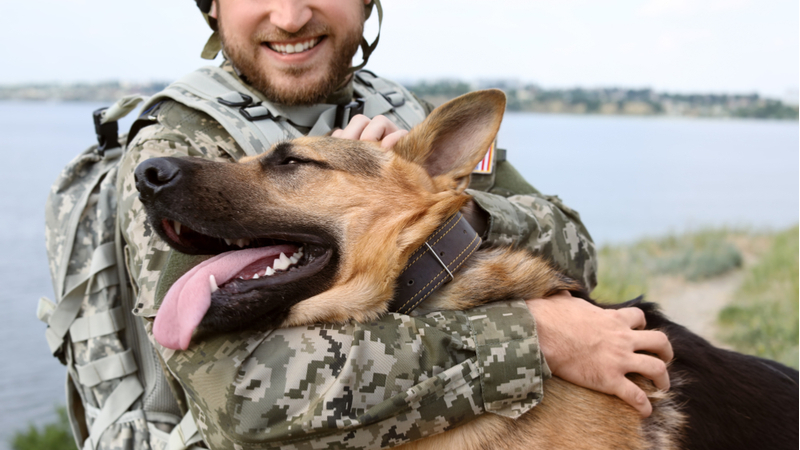 Canine units that are responsible for sniffing out illegal drugs, trafficked persons, weapons, and currency for Customs and Border Protection work in rough conditions–such as extreme temperatures or dangerous terrain–and providing a full holistic picture of the dogs will help them from being hounded with unnecessary stressors. “With the potential risks Customs and Border Protection canine agents face in their daily operations, there is an expressed desire for improved health monitoring tools to ensure their safety,” said Don Roberts, S&T’s Detection Canine Program Manager.